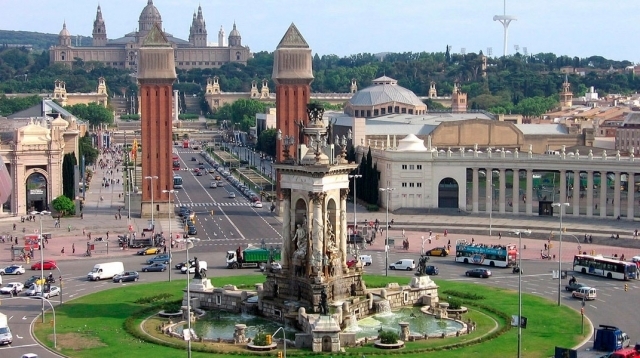 Where to get the credential for the Camino de Santiago in Barcelona? If you have been informing but have not yet done the Camino de Santiago, surely that will sound that "credential". The credential is nothing more than a document that every pilgrim must obtain before starting his journey on the Camino de Santiago. What is it for? With him we will collect stamps in the different public hostels that we will travel on the routes of Jacob, so as to record our passage, the distance traveled that we carry in our feet and as a pleasant memory of our adventure, but above all, to access To public hostels. If we want to spend the night in one of these accommodations, we will ask for the credentials with their corresponding stamps before giving us a place for that day, although each pilgrim can only stay one night and is always conditioned that the hostel is not full when we arrive. The credential is also very important to get another document very coveted by some pilgrims, the compostela (you must be clear that they are not the same). 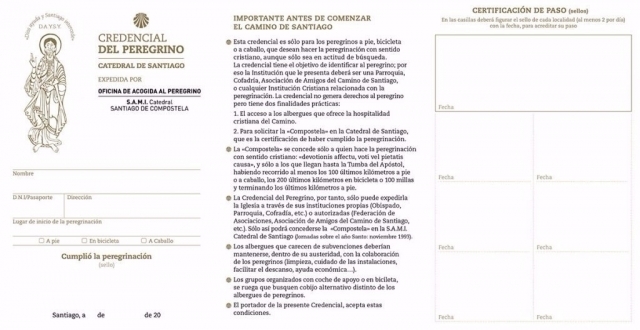 In order to obtain the compostela, which we can only obtain in the Cathedral of Santiago de Compostela, we will be required to show the pilgrim credential with stamps showing that we have traveled at least the last 100 kilometers of any of the Jacobean routes (Camino Francés, Camino Portugués , Primitivo Road, and many more), although there are a few exceptions, as if parts of A Coruña to make the English Way. Where to get the compostela in Barcelona for the Camino de Santiago? There are different ways to get the credential if you are going to make a pilgrimage and it is not strictly necessary that you do it with your city of residence, like Barcelona or Madrid. In fact you can request the pilgrim's crecencial in the main points of the Camino de Santiago of the different routes of Santiago, Sarria, Tui, Roncesvalles, León, Burgos, Astorga and many others, even in shopping centers. The problem with which you will find is that in times like summer or September, when there is a lot of pilgrims on routes like the French Way, the credentials can be exhausted and you can run out of yours. So that this does not happen, if you prefer to start the Camino de Santiago with everything tied from home, you can move to one of the associations of friends of the Camino de Santiago in your city, which in the case of Barcelona is called Amics dels Pelegrins to Santiago in Barcelona and is located in the Civic Center Hostalfrancs. Their address is C / Rector Triadó 53 and they can attend you Wednesday from 8 PM to 9.30PM. However, as in other cities, in Barcelona you will also find certain points, such as the Archbishop's Office, the Parish of Sant Jaume or the Monastery of Sant Pau del Camp, where you can also request your compostela. Below you have the schedules in which you will find them at your disposal, be sure to check them before you go.